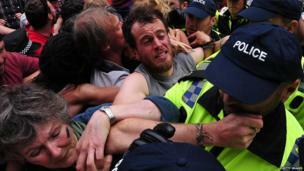 Dozens of activists and an MP are arrested following protests over energy firm Cuadrilla’s oil-drilling operations. 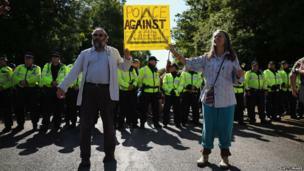 Dozens of activists and an MP have been arrested following protests over energy firm Cuadrilla’s oil-drilling operations. 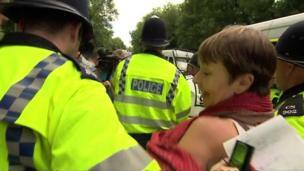 Green MP Caroline Lucas and her son were arrested at the main protest in Balcombe, West Sussex, where the energy firm is test drilling. 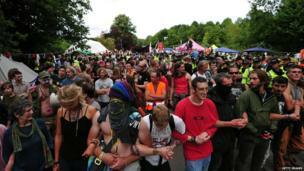 Police dispersed hundreds of anti-fracking demonstrators who blocked the B2036 between Balcombe and Cuckfield. 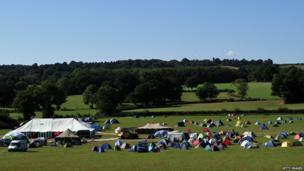 About 30 people were arrested with more than 400 officers deployed to the site, Sussex Police said. There has been a three-week protest at Balcombe over the test drilling, which campaigners fear could lead to hydraulic fracturing, or fracking. 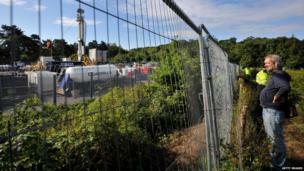 The number of activists at the site has grown with protest group No Dash For Gas organising a six-day camp. The group said “direct action” would begin on Monday. 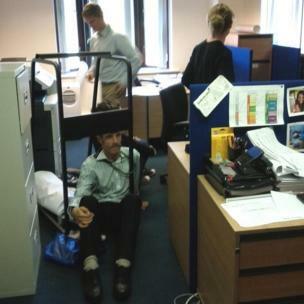 On Monday morning protesters occupied Caudrilla’s headquarters, in Lichfield, Staffordshire, and locked themselves to furniture inside. 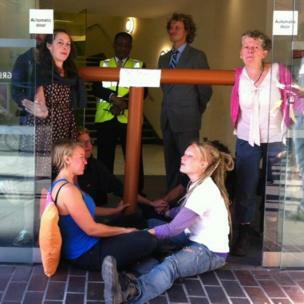 Six activists also glued themselves to the central London HQ of Bell Pottinger, Cuadrilla's PR company. 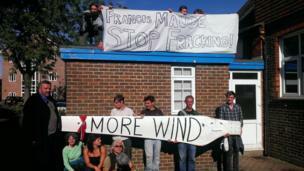 And some protesters climbed the roof of Francis Maude MP’s constituency office, in Horsham. Activists spent the weekend training ahead of what they said would be 48 hours of direct action against Cuadrilla.